I know we are counting down the days until Christmas at our house, and I am sure many of you are doing the same. It can be a very busy time, so make sure to take some time for yourself and actually enjoy all the wonders this time of year has to offer. Today marks the 15th Anniversary of “The Proposal.” Nope, not the movie-the biggest proposal of my life-when my husband popped the question! It was a wonderful day, and the last 15 years have been quite a thrill ride! 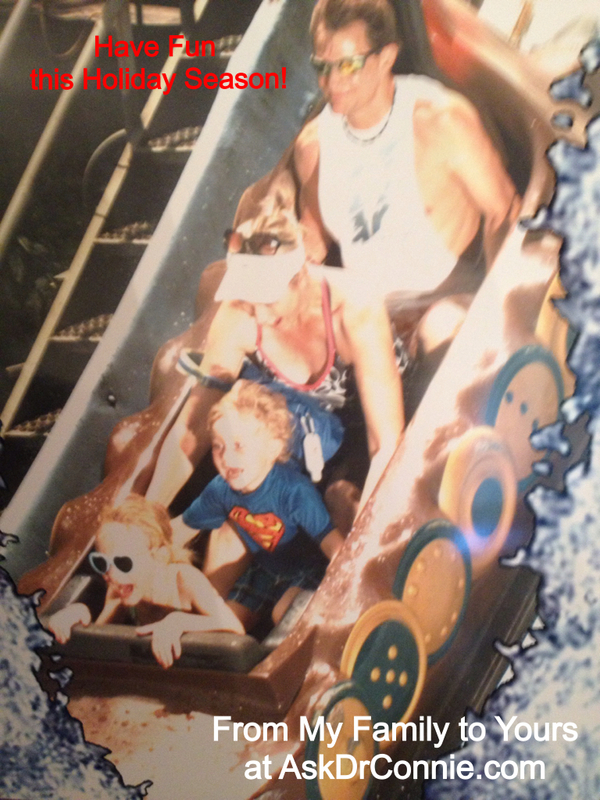 Our fun ride on the Viking Voyage at World’s of Fun this summer was a great moment. The picture was snapped at just the right moment, and is a wonderful reflection of our life together. Life is full of so many wonderful emotions and experiences. I have the good fortune to share all my ups and downs with loving and supportive family members and friends. My husband and I have built a wonderful and full life together. Thanks for all of your love and support Honey. Most of all, thanks for being my partner and for building a family together. Our little people (and doggies) add a lot of extra cheer to the holidays and each and every day! Go Wild with Fun this Christmas! !